Game. Set. Match. Audi. That’s friggin’ brilliant right there. If I’m in advertising, I find out who made that ad, and I hire them for whatever they ask for. No questions asked. You’re hired. Also, if it’s fake and somebody on the internet created it… Audi is an idiot if they don’t extend that person a job. Lastly, if you’ve been living under an olympic-sized rock, here’s why this ad is so brilliant. 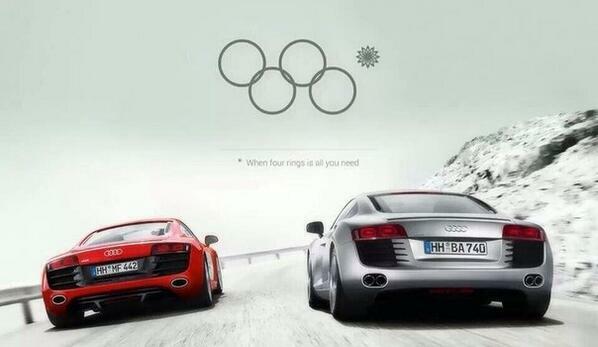 This entry was posted in Cars, Olympics and tagged Audi, audi four rings olympics, audi rings. Bookmark the permalink.